Today I've teamed up with House of Fraser to bring you some tips on how to figure out your skin tone and what shades will suit you best. Being as pale as I am, it's quite a battle to find a foundation to suit my skin tone. I find it hard enough to find a formula I like in the first place, let alone finding a good formula that caters for casper the ghost skin types like me. If i'm lucky enough to find a great formula that is available in a light enough shade, I also have to think about if it's pink or yellow toned. For years upon years I found it hard to understand skin tones (warm, cool, neutral) and never knew how to figure out which one I fitted in to. To be honest I still do find it a bit confusing and hard to tell which undertones someone has and which category they fit into. I finally discovered that I'm cool toned when I got foundation matched at Estee Lauder, which means I suit a foundation with pink undertones. Now, don't mistake knowing what tone I am for understanding it. I still don't get it. Bad beauty blogger over here. I could stare at my skin all day and not get whether it's pink or yellow or cool or warm or neutral. And I'm sure I'm not the only one, so carry on reading for these great tips I've kindly been provided with which make it super easy to figure out which one you are. Finding the right foundation to fit our skintone can seem like an endless battle, not to mention picking out the perfect makeup palette to suit us perfectly! 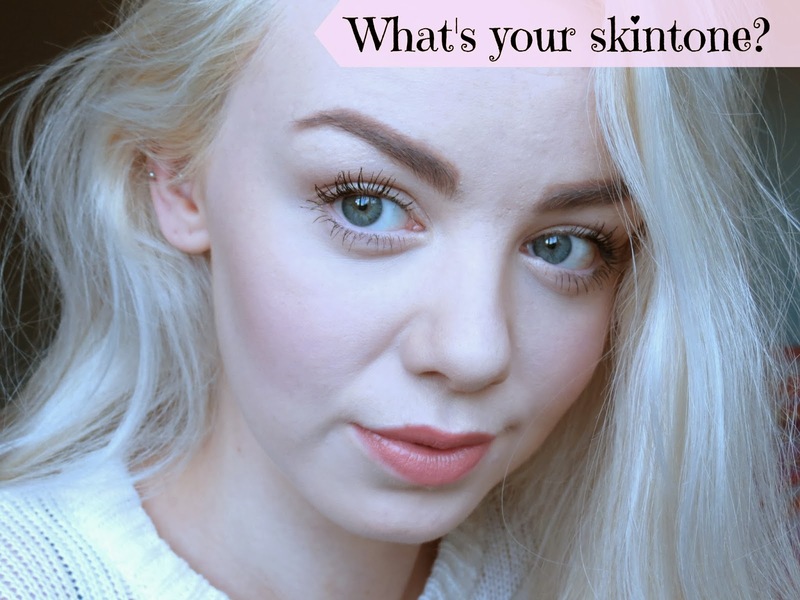 So to help you lovely readers on your beauty quest, we have come up with some beauty tips for identifying your skintone and what shades will help to bring out each feature! First of all, to help ensure you are choosing the right foundation and shade, you can do a simple DIY test to see what your natural skintone is. If you look at the veins on the inside of your wrist you will notice that they are a particular colour. If they appear blue then you have a cool skintone and if they are a greener shade then you are warm toned. Don’t worry if you think you have a mix between both, this means that you have a neutral skintone, which is arguably the most versatile! 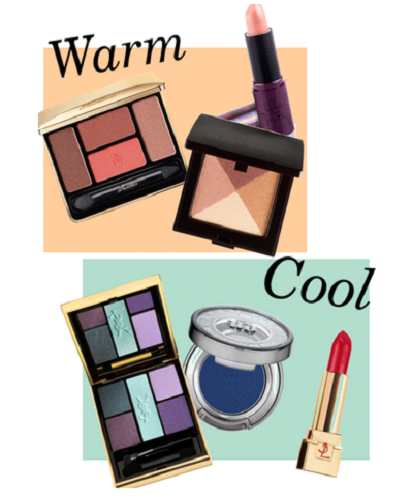 Once you’ve identified your underlying colour, you can then find makeup shades that suit you best! Those with warm undertones (aka greeny veins) tend to have brown, hazel or green eyes with brown or red hair. Although, this isn’t to say that blonds can’t also be warm toned! The shades we recommend are warm and earthy shades such as bronze and brown with a yellow based foundation and a peachy toned blush. Those with a cool undertone tend to have blue, grey green or black eyes. They can have blonde, dark brown or black hair that suit jewel coloured makeup shades. They also suit a pink based foundation and blusher to bring out a rosy glowing colour. Again, this can vary between the individual so don’t fret if you don’t fit into this description! If your vein test proved inconclusive and you have a mixture between blue and green undertones, this can actually work to your advantage! A neutral skintone is the most versatile as you suit both the shades of warm and cool, giving you the best of both worlds. Also, you could have a mixture between any hair and eye colour! Although, you may experience difficulty in finding a foundation that has the right undertone to suit. As this can vary between each neutral toned individual, it is best to seek advice from an expert at a makeup counter. Or if you want to have a play around then you can start mixing foundations to find the perfect finish for your skin! For reference, my veins appear blue, indicating that I'm cool toned which is correct. I also fit perfectly into the above description under cool toned. I was amazed by this as I've never heard of such a simple test to figure out which skin tone you are and it really did work. I hope it worked for you and if you were clueless like me, you've now got more of an idea about skin tone and what will work for you! Still don't know? Pop to a beauty counter like I did and they'll be happy to find out for you and help you find the right foundation for you. I use the Estee Lauder Double-Wear foundation in the shade 1C1 'Shell' which I think is the very palest shade and as indicated by the C, is for cool toned skins like me. I hope you found this helpful, I certainly did so I'm so glad I have this to share with you!